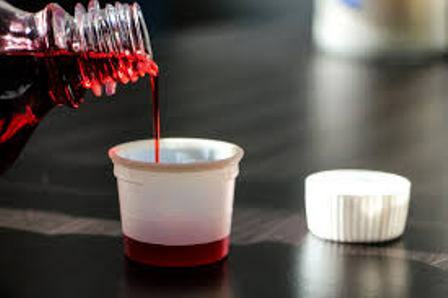 In the wake of the BBC undercover report, the Federal Ministry of Health has directed the National Agency for Food and Drug Administration and Control (NAFDAC) to ban with immediate effect further issuance of permits for the importation of codeine as active pharmaceutical ingredient for cough preparations. A statement from the ministry said the directive became necessary due to the gross abuse Codeine usage has been subjected to in the country. In its stead, the Minister said Codeine containing cough syrups should be replaced with dextromethorphan which is less addictive. The minister, according to the statement, has also directed the Pharmaceutical Council of Nigeria, (PCN) and NAFDAC to supervise the recall for labelling and audit trailing of all codeine containing cough syrups in the country, while he has also banned sales of Codeine-containing cough syrup without prescription across the country. He noted that the National Agency for Food and Drug administration and Control had an emergency meeting with the Pharmaceutical Manufacturers Group (PMGMAN) to inform them that there is an embargo on all new applications for registration of codeine-containing cough syrups as well as applications for renewal has been abolished. The Pharmacists Council of Nigeria (PCN) has also been directed to continue enforcement activities on Pharmacies, Patent and Proprietary Medicine Vendor’s Shops and outlets throughout the country. “Furthermore, these agencies shall work together to increase pharmacovigilance around codeine, tramadol and other related substances of abuse,” Adewole stated. The statement disclosed that NAFDAC has developed IEC materials that will be used in an already planned national campaign against drug abuse, an awareness programme that includes Young Pharmacists Group of the Pharmaceutical Society of Nigeria. 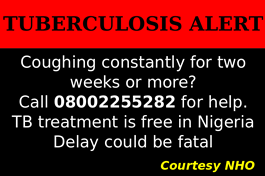 This, the ministry further said, would soon be flagged off in Kano and Lagos. “As a way of discouraging youths to shun the drugs, the Federal Government through Federal Ministry of Health shall partner with National Orientation Agency (NOA), Nigeria Football Federation (NFF), Football celebrities, members of the Actors Guild of Nigeria, Performing Musicians of Nigeria and other celebrities to drive national campaign against drug abuse. He said the Civil Society Organizations shall be strengthened to deliver effective sensitization, prevention, treatment and rehabilitation services. Recalled that in view of the serious public health concerns drugs abuse poses to Nigerians , a working group which comprised of experts from various Ministries, Agencies of Government (including regulatory agencies), Development Partners and Associations was constituted in January and tagged Codeine Control and other Related Matters Working Group (CCRWG).The CCRWG was formally inaugurated on January 23, 2018 with clear Terms of Reference of developing key recommendations and strategies to address the menace of codeine, tramadol and other related substances in Nigeria. Professor Adewole restated the commitment of FGN to ensure the full implementation of the National Drug Distribution Guideline (NDDG) by January 01, 2019 and closure of all open drug markets by December 31, 2018.